The Rime petrose, Dante's powerful lyrics about a woman as beautiful and as hard as a precious stone, are generally acknowledged to be an important moment in his stylistic development. 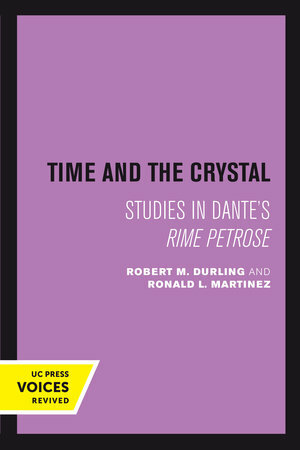 In this full-length investigation of the poetics of the petrose and of their relation to TheDivine Comedy, Robert M. Durling and Ronald L. Martinez uncover new material, especially from medieval science (astrology and mineralogy), philosophy, and theology. 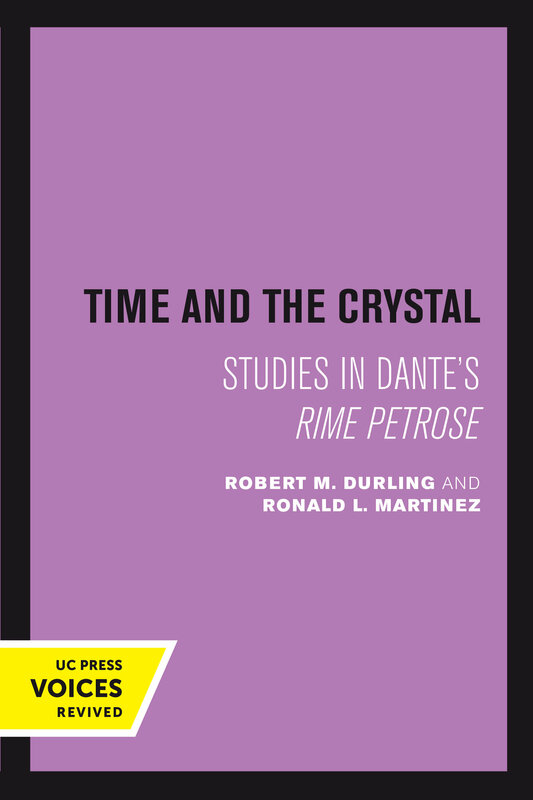 The authors argue that the Rime petrose represent a major turning point in Dante's conception of a "microcosmic poetics" that became the fundamental mode of the Commedia. They demonstrate how Dante here attempts his first full account of his relation to the universe as a whole. This work offers many insights into the intrinsic significance of these remarkable poems and their place in Dante's development. Especially far-reaching are the implications for the interpretation of TheDivine Comedy.Time and the Crystal will interest not only students of Dante but also intellectual historians, historians of science, students of poetics and poetic theory, and all those interested in medieval literature. Robert M. Durling was Professor of Italian and English Literature at the University of California at Santa Cruz. He is the author of The Figure of the Poet in Renaissance Epic and translator of Petrarch's Lyric Poems. Ronald L. Martinez is Professor of Italian Studies at Brown University and the author of numerous articles on Dante, Boccaccio, and Machiavelli.